The deadly sin of anger is defined as the inordinate and uncontrolled feeling of hatred and wrath. Unlike righteous anger, the capital sin of anger is understood as the deep drive to cling to hateful feelings for others. This kind of anger often seeks revenge. The consideration of anger as an experience, passion, or feeling requires some distinctions, however. Not all anger is sinful nor necessarily a deadly sin. Throughout the Gospels, Jesus manifests quite a lot of anger and issues many denunciations, often accompanied by the phrase, “Woe to you!” In this way, He spoke in much the same way as all the prophets before Him. We live in a culture that tends to be shocked by expressions of anger; it is almost reflexively rejected as counterproductive. In some situations, though, anger is the appropriate response. Let’s begin with some distinctions. The internal experience or feeling of anger must be distinguished from its external manifestation. 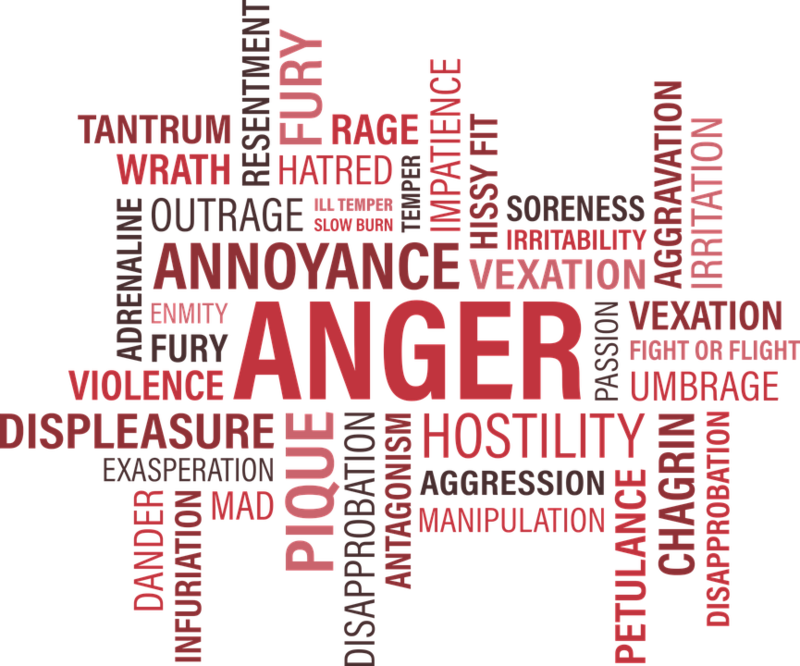 The internal experience of anger as a response to some external stimulus is not sinful because we cannot typically control the arising of feelings or passions. Anger usually arises out of some sense of threat. It signals to us that something is wrong, threatening, or inappropriate. Sometimes our perceptions are inaccurate, but often they are not. When they are not, anger is not only sinless, it is necessary; it alerts us to the need to respond and gives us the energy to set things right or to address a threatening situation. Anger can arise for less-than-holy reasons. Some of the things we fear we should not. Some of our fears are rooted in pride or an inordinate need for status or affirmation; some come from misplaced priorities. For example, we may be excessively concerned with money, possessions, or popularity; this can trigger inordinate fear about things that should not matter so much. This fear gives rise to feeling threatened with loss or diminishment, which in turn triggers anger. We ought not to be so concerned with such things because they are rooted in pride, vanity, and materialism. In this case, the anger may have a sinful dimension. The sin, though, is more rooted in the inordinate drives than in the anger itself. Even when anger arises for the wrong reasons, it is still not an entirely voluntary response. External manifestations of anger can and do sometimes have a sinful dimension, particularly when they are beyond what is reasonable. If we express anger by hurling insults or physically injuring someone, we may well have sinned. Even here, though, there can be exceptions. For example, it is appropriate at times to physically defend oneself. In addition, we live in thin-skinned times and people often take offense when they should not. Jesus did not hesitate to describe his opponents in rather “vivid” ways. Hence, of itself, anger is not a sin. Scriptures says, Be angry but sin not (Ps 4:4). So anger is not the sin, but the expression of it may be. Further, it is possible that some of our anger springs from less-than-holy sources. When is the external manifestation of anger appropriate? When its object is appropriate and reasonable. For example, it is appropriate to be angry when we see injustice. Dr. Martin Luther King, Jr. harnessed the appropriate anger of Americans toward the injustice of racism; he focused their energy in productive ways. However, he was very careful to teach against violence and revenge. Anger did not give the civil rights protesters the right to hate. What Dr. King did was to elicit a just anger in many Americans. This anger in turn gave them the motivation to act creatively and energetically to resist injustice and effect change through non-violence. There are, however, some who respond to injustices with violent protests and who express hatred. In such protests, anger is no longer a creative energy that summons people to call for change and justice. Rather, it is a violent anger that manifests hate and often ends in the destruction of property and/or harm to other human beings. Anger is also appropriate and even necessary in some forms of fraternal correction. To fail to manifest some level of anger may lead to the false conclusion that the offense in question is not really all that significant. For example, if a child punches his brother in the mouth and knocks out his tooth, a parent ought to display an appropriate amount of anger in order to make it very clear that this behavior is unacceptable. Gently correcting the child in a soothing and dispassionate voice might lead to the impression that this action really wasn’t so bad. Proper anger has a way of bringing the point home and making a lasting impression. The display of anger should be at the proper level, neither excessively strong nor too weak. This of course requires a good bit of self-mastery. You have heard that it was said to the people long ago, ‘Do not murder, and anyone who murders will be subject to judgment.’ But I tell you that anyone who is angry with his brother will be subject to judgment. Again, anyone who says to his brother, ‘Raca,’ is answerable to the Sanhedrin. But anyone who says, ‘You fool!’ will be in danger of the fire of hell (Matt 5:21-22). Taking the passage at face value, it would seem that Jesus condemns anger without exception. However, if that is the case then Jesus clearly broke His own rule because as we know He exhibited a lot of anger in the Gospels. What Jesus does clearly condemn here is unrighteous and wrathful anger. The two examples in this passage show the kind of anger He means. The first example is use of the term Raca, an epithet that displayed utter contempt for the recipient. Notice that Jesus links this kind of anger to murder because by using the term, the other person is so stripped of any human dignity that to murder him would be no different than killing an ox or mule. This sort of anger depersonalizes the other and disregards him as a child of God. Using the term fool has a similar, though less egregious, purpose. Hence, it would seem that the Lord is not condemning all anger but rather the anger of contempt and depersonalization. To absolutize Jesus’ teaching here to include any anger at all would seem unreasonable given Jesus’ own example, which included not a little anger. We ought to be careful, however, before simply adopting Jesus’ angry tone ourselves. There are two reasons for this: First, Jesus was able to see into their hearts and determine the appropriate tactics; we may not always be able to do this. Second, the wider Western culture in which many of us live may not be as prepared to accept such an angry tone; it may be less effective in our setting. Prudential judgment is a necessary precursor to using such tactics. We do well to be careful with anger, for it is an unruly passion. Above all we ought to seek the fruit of the Spirit that is meekness and to ask the Lord to give us authority over our anger and prudence in its use. What is meekness? It is an important beatitude and fruit of the Holy Spirit that helps us to master anger. Today, we think of a meek person as one who is a bit of a pushover, easily taken advantage of. The original meaning of meekness, though, describes the vigorous virtue through which one gains authority over his anger. Aristotle defined meekness (πραΰτης – praotes) as the middle ground between being too angry and not being angry enough. The meek person has authority over his anger and is thus able to summon its energy but control its extremes. The meek are far from weak; in fact, they show their strength in their ability to control their anger. St. John Chrysostom said this regarding anger: He who is not angry when he has cause to be, sins. For unreasonable patience is a hotbed of many vices (Homily 11). St. Thomas Aquinas said, Consequently, lack of the passion of anger is also a vice, [for it is] a lack of movement in the will directed to punishment by the judgment of reason (Summa Theologica II, IIae 158.8). St. Thomas also lists the “daughters” of anger as quarreling, swelling of the mind, contumely (contempt or derision), clamor, indignation and blasphemy. For indeed, sometimes anger is directed at one who we deem unworthy, and this is called “indignation.” Sometimes wrathful anger manifests a pride where our anger is rooted in obstinate opinions and superiority. And anger surely gives birth to quarreling, derisiveness, and clamor. Anger directed at God often produces blasphemy. Of the Virtues that are medicine for anger – Clearly meekness is the chief virtue to moderate anger. Meekness is the proper middle ground between too much anger and not enough anger. Cleary the virtues associated with Charity such as love and peace along with proper fraternal correction assist in both curbing anger and directing it to useful ends. Prudence too will help direct and moderate anger especially through the foresight, circumspection, caution, counsel and discrimination proper to it. Finally humility helps alleviate the swollen mind of anger. Fret not; it leads only to evil. played with by the winds. 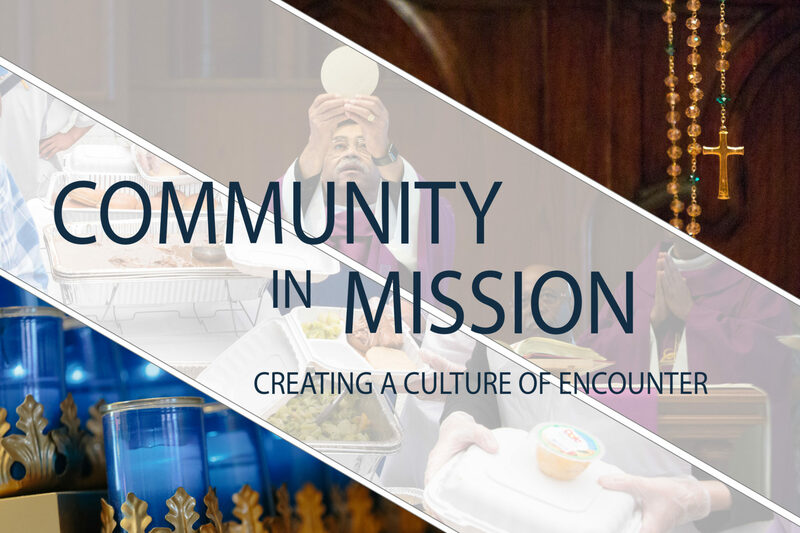 Many among the laity are righteously angry – a calm, prudential decision on the basis of facts – with the vast and multifaceted scandals plaguing the Church, scandals often aided and abetted by some of our beloved shepherds. Here a distinction is required: anger can be a "feeling." Feelings, by their very nature, change – they wax and wane, giving way to other feelings. Many bishops seem to be relying on the belief that the laity's anger is a feeling, and that it will pass. That we will eventually go away. So they kick the can down the road (Mr. McCarrick, anyone?). But anger can also be prudential, ordered and mastered, with fortitude, seeking justice, always moderated by temperance. When directed virtuously (informed by those Four Cardinal Virtues), our anger at those hierarchs who have betrayed us can be considered a good., a movement of the will informed by the intellect, and thus not abating at all, but directed forcefully and consistently , demanding justice, truth, and never letting up. "The price of liberty is eternal vigilance." And the same goes for justice. A definition of meekness I heard once was that in antiquity (those mean old “dark ages,”), meekness meant “controlled strength.” I always like that definition.